Shortly after 3 a.m., a caller reported a fire at an apartment building in the 1000 block of Baden Avenue, according to the Five Cities Fire Authority. The blaze threatened the units above the garage, but firefighters stopped it from spreading. 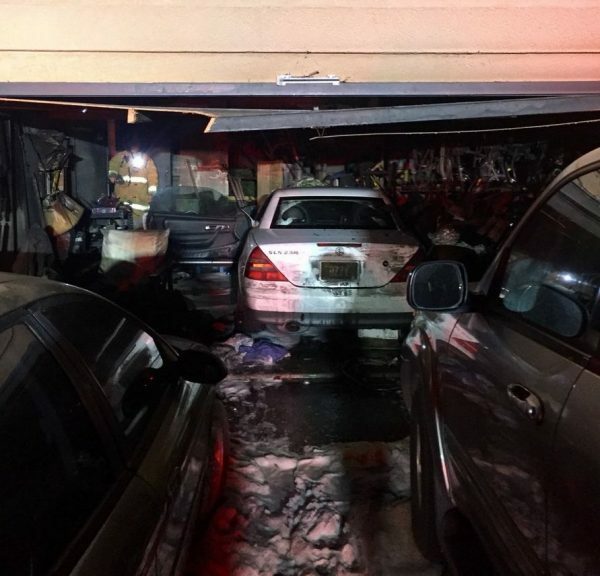 Firefighters contained the blaze to the garage, where it appeared to damage a Mercedes Benz that was parked inside. There were no reports of any injuries. It is unclear what caused the fire. Cal Fire and San Luis Obispo city firefighters assisted Five Cities fire personnel with extinguishing the blaze.